Trying to decide whether or not go with an off property hotel option or to stay at the Disney World Resort?? These 9 Benefits of Staying at the Disney World Resort might help make your decision a little easier. While I’ve gone the budget route and stayed at an off-property resort in the past, as well as stayed at several Disney World Resorts on the property, from this point forward I will always choose to stay on property! This discount card comes with the Magical package you receive before your arrival day. At the back of this booklet is a saving card along with 4 pages of various locations around Disney Resort that you can use this magical discount card. Bonus: This booklet also contains your free vouchers for admission to mini golf at Disney’s Fantasia Gardens or Winter Summerland and ESPN Wide World of Sports. Just another benefit of staying at Disney World Resort!! Free transportation is provided via Motor Coach, Ferry, or Monorail to all 4 Theme Parks, both Water Parks, Disney Springs, Disney’s Boardwalk, and other Resorts. Once you arrive at your Disney World Resort you won’t have to drive again for the entire length of your stay!! Flying into Orlando International Airport? Don’t worry Disney’s Magical Express will pick you up at the airport and deliver you, and your luggage, straight to your Disney Resort. We used this option on our April trip to Disney World….talk about Magical! Big News: As of March 21st, 2018 Disney has decided to Charge their Resort Guests for Parking Overnight. The price for Disney Value Resort Parking is $13 per night, Disney Moderate Resorts parking is $19 per night, and the Disney Deluxe and Deluxe Villa Resorts parking is $24 per night. Disney provides you, and everyone in your party, with a magical Magic Band that allows access to your room, park entry(must link tickets), dining and merchandise purchases, and more! There are 10 solid colors to choose from Purple, Blue, Green, Orange, Yellow, Grey, Black, Red and two shades of Pink(dark and light). Click here to learn more about the wonderful ways you can utilize your Magic Bands!! That’s right!…anything you purchase at the theme parks, Disney Springs, Disney’s Boardwalk, or any one of the many shops on Disney World Resort property, can be delivered directly to your room! This is such a convenience when you see something you want to buy but don’t want to carry it around all day!! Looking for a little extra Disney Magic in your day?! Subscribe Now!! Each day one of the parks either opens a couple of hours early or stays open late for Disney World Resort Guests. This definitely comes in handy when your park hopping like us and want to get the most out of each day. Both days that we park hop, on our upcoming trip, we are utilizing the Extra Magic Hours. Epcot stays open from 9:30-11:30 pm the first day and the Magic Kingdom is open 11pm-1am on the second. This is a really neat benefit of staying at Disney World Resort. The night before you can set up a scheduled wake up call….from a Disney Character! Just select the wake-up call button on your in-room phone and enter your time to wake up. It’s random so you never know who you’ll get a call from. On our last trip, I set a wake-up call for both of our Park Hopping days and we had Baymax from Big Hero Six one day and Goofy the next!! Gawrsh!! You can do your Online Check-In as early as 60 days in advance. The great thing about this option is once you arrive you can bypass the lines at the front desk completely. Disney will send you a magical text, like the one shown here, with your room number and floor once your room is available. You can even leave your luggage with the concierge and head straight to the theme park if you’d like. Your luggage will magically be waiting for you in your room once you arrive! This is one of the main reasons I love staying at a Disney World Resort…early access to FastPass Selections. You can book your FastPass selections up to 60 Days prior to your visit. I am that #DisneyDork that is sitting at my computer booking my favorite FastPass selections as soon as I can. The magic doesn’t stop when you leave the parks….it follows you to your Disney World Resort Hotel!! From themed rooms, restaurants and pools, to special touches left by “Mousekeeping”(Disney’s version of housekeeping), to having a personal Disney agent at your fingertips(407-W-DISNEY), to Decorating your Resort Window, the magic of Disney is sprinkled all over your resort!! Be sure to check with the front desk of your Disney World Resort Hotel for games near the pool, outdoor movie times, and special events going on at your Disney Resort!! 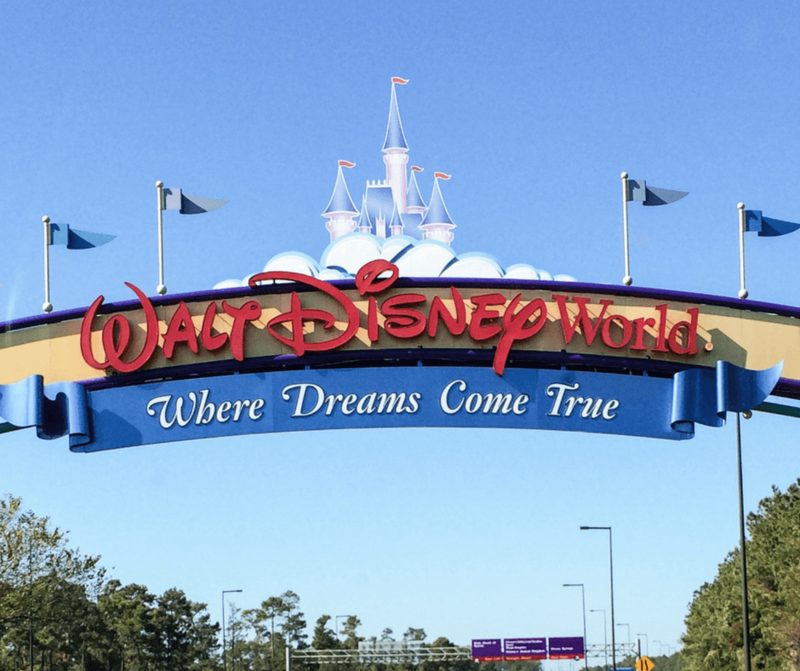 With over 25 Resort Options to choose from a Disney World Resort is the way to go for a truly magical experience!! What is your most magical memory from staying at a Disney World Resort? !